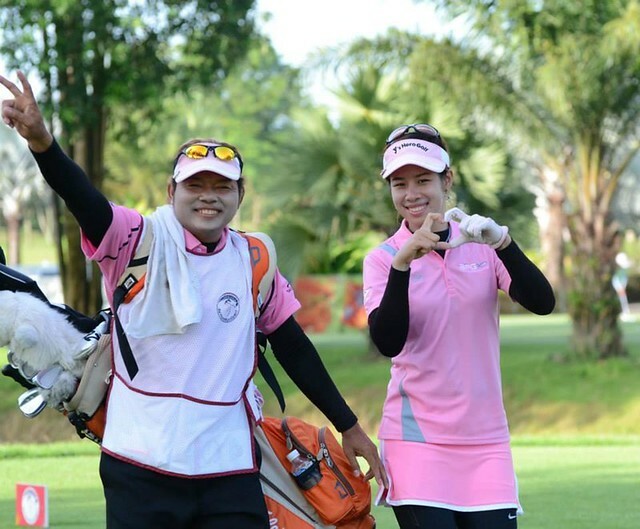 About 10 months ago, a good friend Pro Ong Yuki, who is also the top coach in Chiang Mai asked me to look at one of his favourite student. Nimmita was 19 and she have picked up the game when she was 16. About to turn pro and he feels that despite her late start, she has lots of potential and was willing to work hard. practising day and night on end. So 3 months ago i met Niimmita again, she has gotten her tour card and have been doing well on tour. Now she has her sights on Japan and Pro Ong asked if we can sponsor her. its not money he wanted but he feels that having a brand like ours will give her confidence and a mission to work towards. 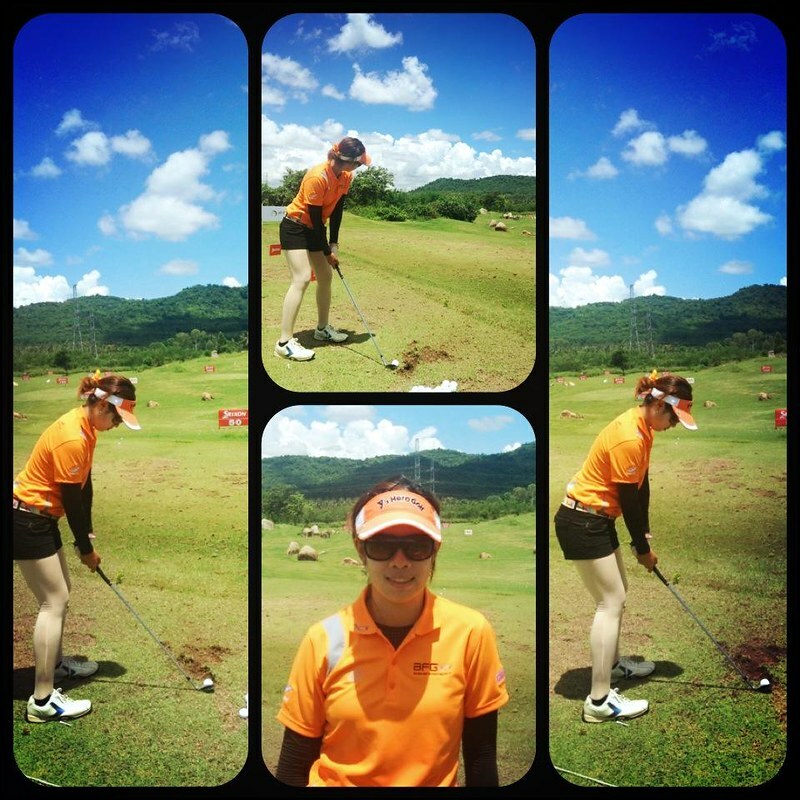 So here we are...Our first lady professional fully sponsored by BFG in Thailand. i hope you will visit her Facebook and like her page. it will give her tremendous support and a great comfort knowing that she has friends and fans in Singapore rooting for her. Thank you for your attention and i thank you once again for showing Pro Nimmita that she has friends and fans in Singapore supporting her. She will be wearing BFG colours in the near future including a 9 inch staff bag made in white and orange which is her favourite colour. 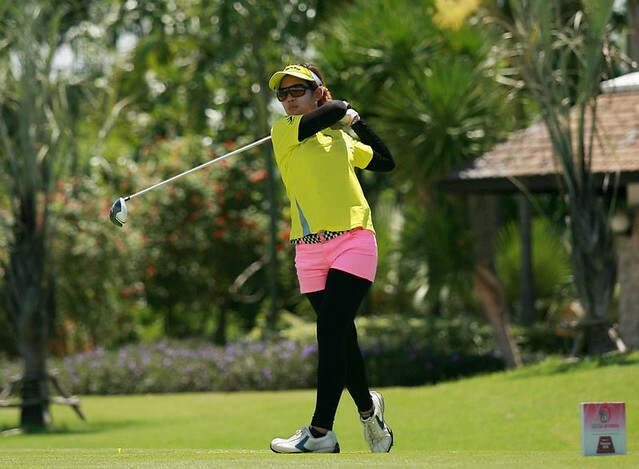 We hope that GRians who visit Chiang Mai will have the chance to play a round with her. Way to go Eric ! Hope she does well and do herself and BFG proud. All the best. Cheer! @ Eric: Good on u! Already liked! Love her orange BFG/Zen Shirt! 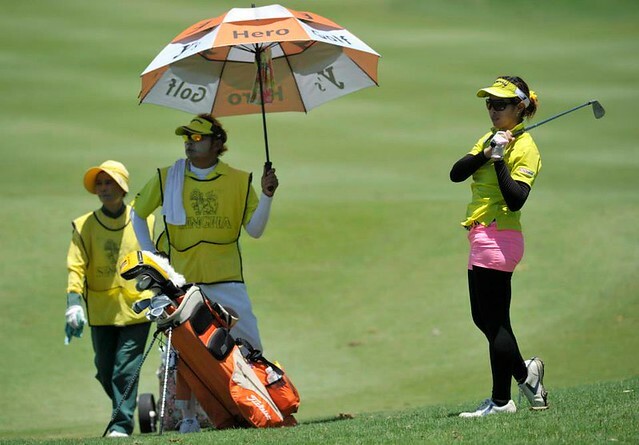 Pro Ong Yuki is carrying the umbrella and her caddy for the tournament. thank you for your likes and i can see so many from Singapore. Why no BFG stand bag? 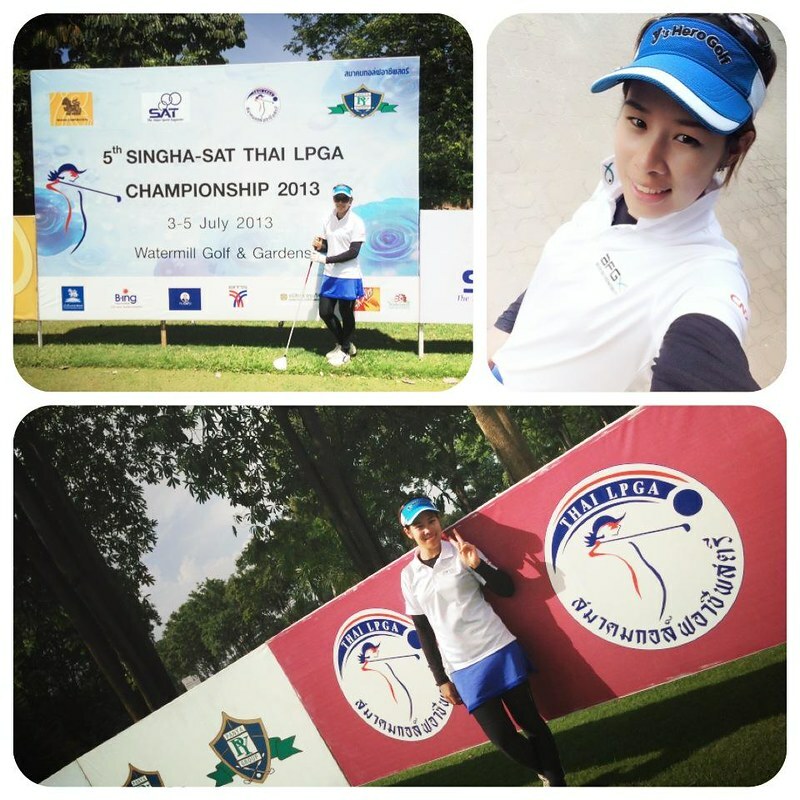 Nimmita must be the only thai lady pro with more likes from Singapore than Thailand. never underestimate what confidence can bring about.......i believe the support from Singapore have given her new reasons to go for her goals. Can I get the Orange and Yellow BFG Golf polo? thank you once more for your support and likes...keep it coming. Beautiful girl, lovely smile...I'm sure she will taste the sweet nectar of victory soon!